The history of aalbers|wico can be traced back to 1966, when the company Aalbers was founded as an engineering workshop in Renswoude. In 2001 the company name was changed to aalbers|wico, following Aalbers' takeover of the structural security firm Wico. Nowadays the company has more than 160,000 ft² of floor space at their production locations in Renswoude and over 100 expert employees work within their two independent divisions: defence & security and metal & technology. aalbers|wico’s defence & security division is a leading specialist in the field of structural security. This division focuses on four disciplines: intruder resistance, ballistic resistance, blast resistance and fire resistance. The company can be counted as one of the international leaders in these areas. A great deal of attention is therefore devoted to R&D and product innovation. 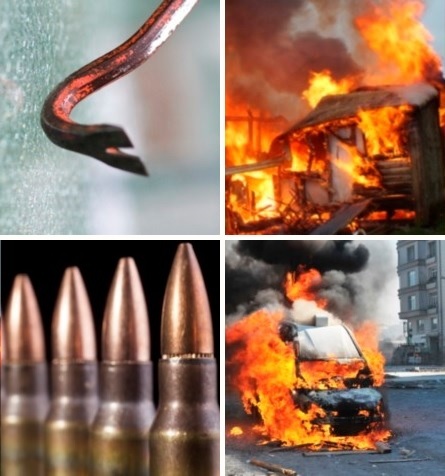 According to their discipline, aalbers|wico’s defence & security products have the following certifications: NEN 5096, EN 1627-1630, EN 356 and ISO 16936 (intruder resistance); EN 1522 and EN 1063 (ballistic resistance); EN 13123, 13124 and 13541, the US GSA guidelines, and ISO 16933 and 16943 (blast resistance); NEN 6075, 6068 as well as 6069, and EN 1634, 1364, 13501 and 15269 (fire resistance). aalbers|wico's metal & technology division has made a name for itself as a reputable all-round supplier of technical solutions in steel, stainless steel and aluminium. These solutions range from semi-finished products and metal constructions through to complete machines. To ensure that they can continue to provide clients with the best possible service in this area, aalbers|wico is constantly striving to improve our processes, methods and techniques.